How to spend a weekend in Greece! Walk down towards Monastiraki on Ermou street, shop or do some window shopping. Once you reach Monastiraki, go wild. Head towards Plaka to explore the small streets with souvenir shops or head down to Monastiraki flea market for a leisurely stroll. Once you’ve reached Thisseio, head back on the road along the metro track to admire the view of the Acropolis and the Hephaestus temple. For dinner, you have many options, but we recommend Kuzina on Adrianou. Head back to your hotel if you’re tired; if not, drop by Eirini square. The area is packed with bars and small eateries where you can experience a night out in downtown Athens. Rise and shine early if you can as your day will be packed. Head to the Acropolis through the small streets of Plaka (try to explore the Ancient Agora while you’re at it) to discover this monument dedicated to the goddess Athena, where you can also admire the stunning Parthenon, the Erechtheion and the sacred olive tree as well as the Odeon of Herodes Atticus (Herodion). To enjoy spectacular views over the city, make a stop at Areopagitus hill before heading back to the Acropolis Museum, located on Dionysiou Areopagitou. 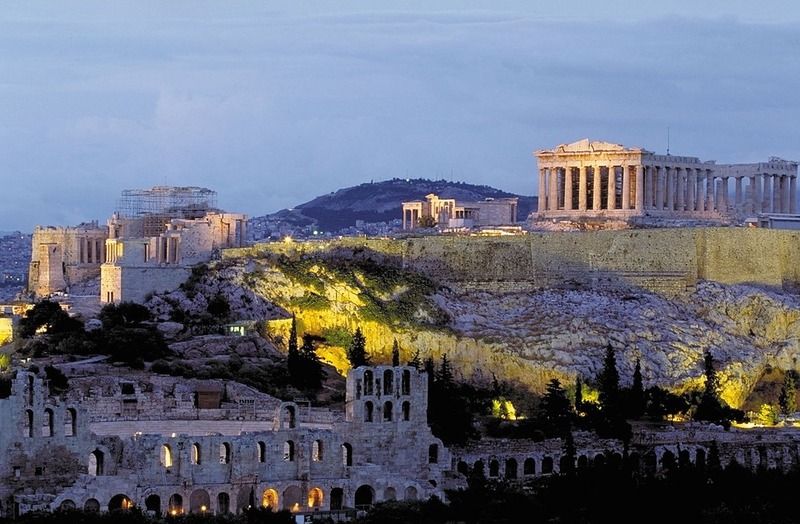 The spectacular building comprises three levels of sculptures found on the Acropolis as well as a portion of the marbles which made up the Parthenon’s frieze. Once you’re done there, if your stomach starts to grumble, you can either have your lunch at the museum cafeteria, or grab a take-away souvlaki at Mikro Politiko and savour it in the National Gardens, near Syntagma. Now that you’ve regained some strength, head to the Archaeological museum in Exarcheia. The area is traditionally known as the home of the Greek anarchists and as such, it is full of character with little bookstores and laid-back cafés. There is nothing to fear there and you should take the opportunity to walk around the area and admire the street art available. Walk back to the center by way of Panepistimiou street, where you can see the stunning Athenian Trilogy, which includes the National Library, the National University of Athens and the Academy of Athens. For an afternoon drink, head to urban retreat Black Duck Garden before climbing up to Lycabettus Hill to enjoy a magnificent sunset over the sea. This is your last day in town, so try to make it count. If you haven’t had enough of sightseeing, you should visit Thisseio, where you can see the famous Temple of Hephaestus. If you’re done with ancient wonders, head instead to the Kerameikos and Metaxourgeio districts, the up-and-coming, artistic neighborhoods in the center, where you will find several art galleries, cute coffee shops and quaint restaurants. Case in point: Seychelles. Drop by here for a tasty lunch at this in-demand hotspot. Come early and you should easily find an empty table. Depending on the time of your flight, you might have to get back to your hotel and pack for departure. If you still have time, take a moment to explore next-door district Psyrri, a lively area that neighbors Monastiraki. Need help or more information on your next trip? Do not hesitate to contact us! Enjoy your holidays in Greece with the travel services of First Choice Travel! Ferry tickets, air tickets & hotel accommodations with excellent services and the best offers! All prices on this site are per person in a double room (including VAT), unless otherwise stated in the program.